If you own a private well in New Hampshire, there’s a very good chance you have arsenic in your water. In fact, one in five New Hampshire homeowners with a well has actionable levels of the element in their drinking water. And because arsenic levels are known to fluctuate, your water may be safe today, but not tomorrow. In this month’s blog, we discuss the health risks of arsenic exposure, and share a real-life example of how we helped a homeowner consistently remove extremely high arsenic levels from her drinking water. Public health officials describe arsenic as an “accumulative enabler,” meaning its health effects can accumulate over time. For this reason, more and more attention is being drawn to this pervasive problem in New Hampshire’s water landscape. “Arsenic is concerning because it is both a pervasive and volatile element in our state,” points out Vicki Coltey, Secondwind Quality Assurance Manager and Co-Owner. “Untreated water tests could reveal relatively low arsenic levels one day, and dangerously high levels a month later,” she explains. “About ten years ago, we were asked to help treat arsenic levels fluctuating between .085 and .110 mg/L,” Coltey explains, noting that an acceptable level of arsenic in drinking water is only .010 mg/L. Unfortunately, the customer had invested in a water treatment system that simply wasn’t doing the job. “Based on the homeowner’s water quality issues, I designed and configured a system that would guarantee the results she was looking for. My quote reflected the effort and equipment required to make this happen,” Coltey says. The homeowner decided to go with a lower-priced bid from a company her builder recommended. “When I found out we lost the bid, I contacted the homeowner to let her know that our door was always open if she needed our help. Months later, the homeowner’s untreated arsenic level had skyrocketed to 1.1 mg/L and the treatment system she chose was not keeping up, so she contacted us again to see if we could help,” Coltey adds. “I was thankful for the opportunity to help this homeowner bring her arsenic down to a safe level,” Coltey says. 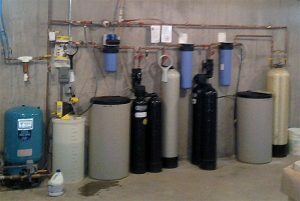 Coltey used the same whole house water treatment system configuration she had initially designed for the customer. The homeowner tests her water on a monthly basis and even though the arsenic levels in her untreated water continue to fluctuate, her new Secondwind system is still successfully reducing it to non-detectable levels. “At one point, the homeowner’s untreated water tested at 5.10 mg/L – one of the highest levels of arsenic we’ve seen in our state” but the system we installed consistently delivers great results” Coltey notes. As with any complex system, when it comes to water treatment equipment design and installation, you get what you pay for. Secondwind installs equipment from Kinetico, a leading water treatment systems company with over 40 years of experience. Kinetico is based in Ohio and all their products are built here in the USA. We believe Kinetico takes a smarter, more efficient approach to solving water problems. 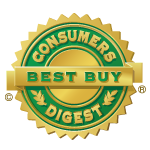 And every system we install is designed by a certified water systems professional who is an expert in both mechanics and water chemistry. 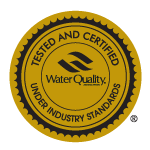 When it comes to treating arsenic or any other water quality problem, you can trust the certified water treatment professionals at Secondwind. With over 30 years of experience, we’re New Hampshire’s leading provider of commercial and residential water treatment systems. Contact us today for a free water analysis and consultation. How Often Should You Test Your Home’s Water?